With no roads, just canals and bridges connecting over 100 little islands, Venice is one of Italy’s (and the world’s) most alluring destinations. 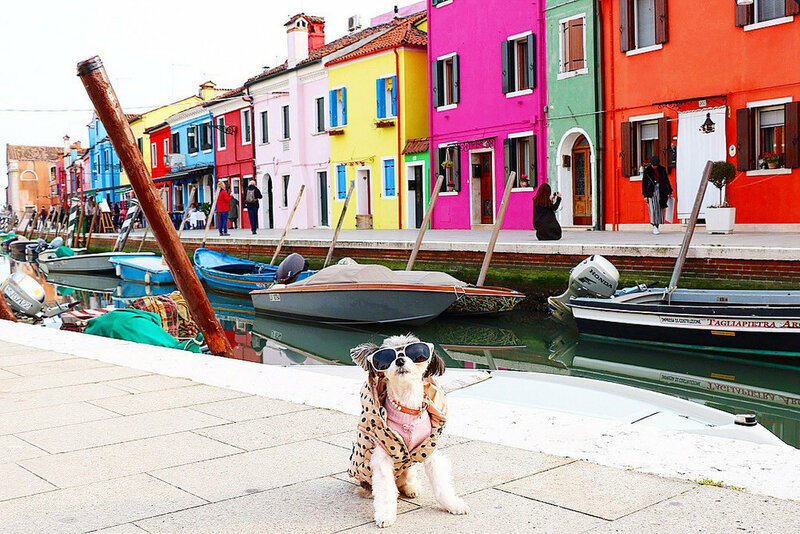 Luckily, I was able to explore this historic floating city and all it had to offer a five pound diva pup. While staying in Venice, I was hosted by the gracious NH COLLECTON VENEZIA PALAZZO BAROCCI. 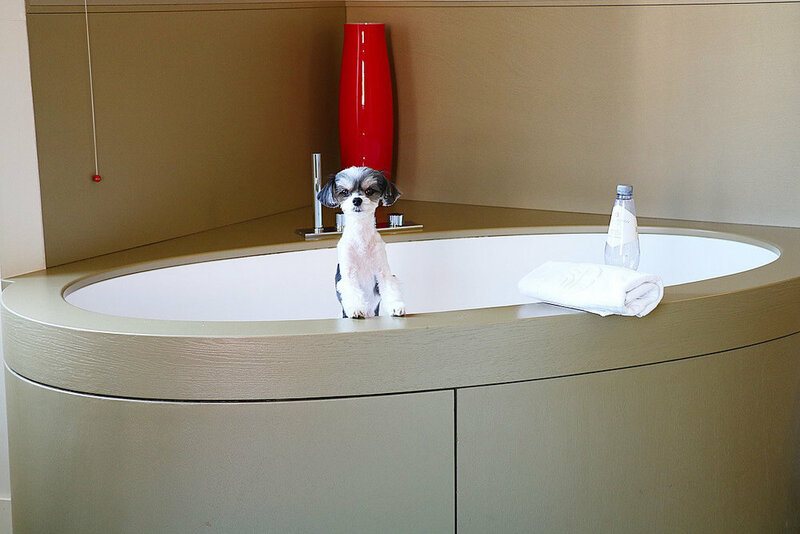 This pet friendly luxury hotel is situated directly on the Grand Canal of Venice. Because of this, they have their own private water dock which provides extreme convenience when arriving and departing the hotel. No lugging bags through the streets and bridges of Venice, trying to find your lodging. Instead, you have the choice of a private water taxi dropping you off at the dock, or you can even arrive via the Vaporetto (Venice’s public water bus) stop right next to the hotel’s water dock. 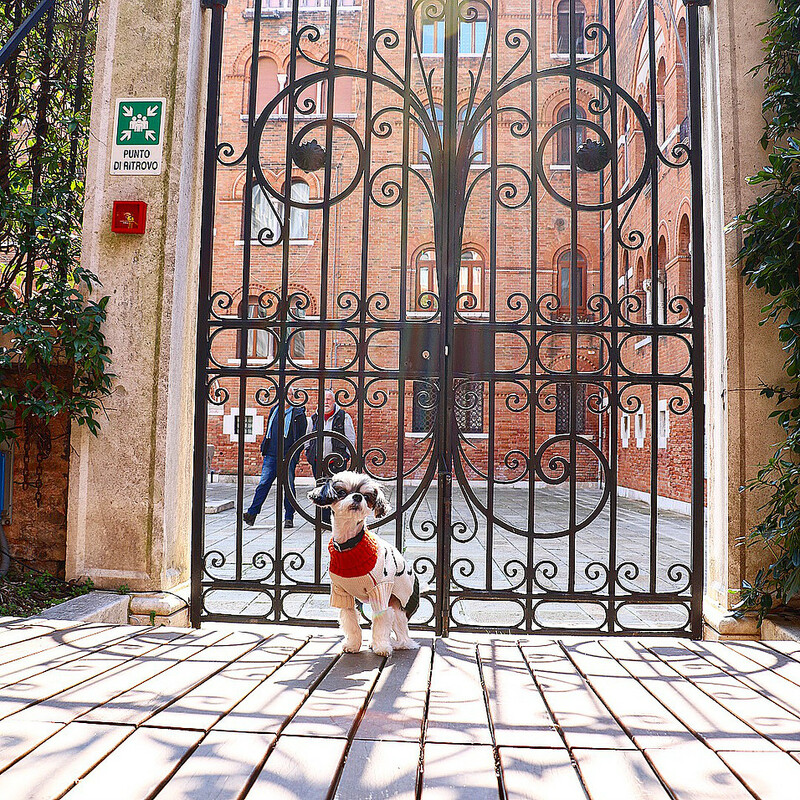 Upon arriving to the NH collection Venezia Palazzo Barocci, I was greeted with a warm welcome of smiling faces, hugs and kisses from the staff while my human was treated to espresso, a light snack and even a glass of prosecco! One of the staff even brought me water to drink after my long journey! The check-in process was very easy for my human, just make sure you have your passport on hand. My room was a Junior Suite on the 2nd floor with a Grand Canal View and Terrace. The room was immaculately clean with a sleek modern, contemporary vibe. I was provided beautiful dog food and water bowls, and treats for my stay.Complimentary bottled water was also provided for myself and my human! The room was very roomy, had a very spacious bathroom and shower, an excess amount of closet space, a vanity area, and even an in room bath tub. The rooms are definitely a stand out and pleasant surprise. Check out my video blog below for more! Among the hotel’s stand out features include a buffet morning breakfast (which you can choose to include in your stay or not) , a cafe/bar, 24 hour room service, an outdoor garden lounge space and an indoor lounge space with a tv and comfortable seating. The staff is extremely hospitable and very knowledgable about the area, where to dine and what to do if you are at a loss of what to do and possibly need some insight. My days in Venice were filled with non stop sight-seeing , shopping, endless photo-ops, a gondola ride, yummy food and day trips to Murano & Burano Island. 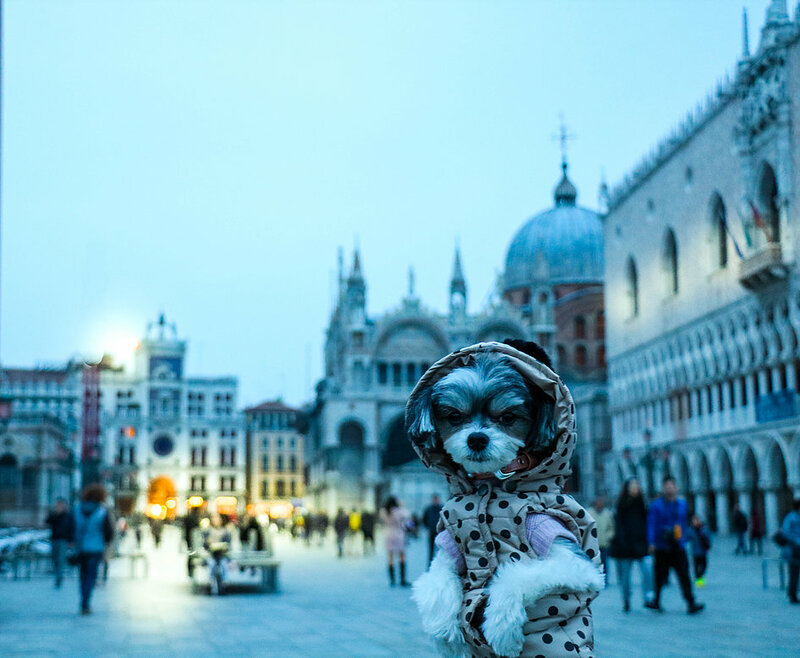 The entire city is extremely pet friendly and I met many local venetian pups along the streets, in cafes to grab an espresso with their human, on the Vaporetto to the other islands, and even in restaurants. Check out more highlights below. Overall my stay in Venice was definitely one for the books, but it would not have been anywhere near as amazing if I could not have called the NH collection Venezia Palazzo Barocci my home away from home. It is not just pet friendly, they are indeed pet lovers. 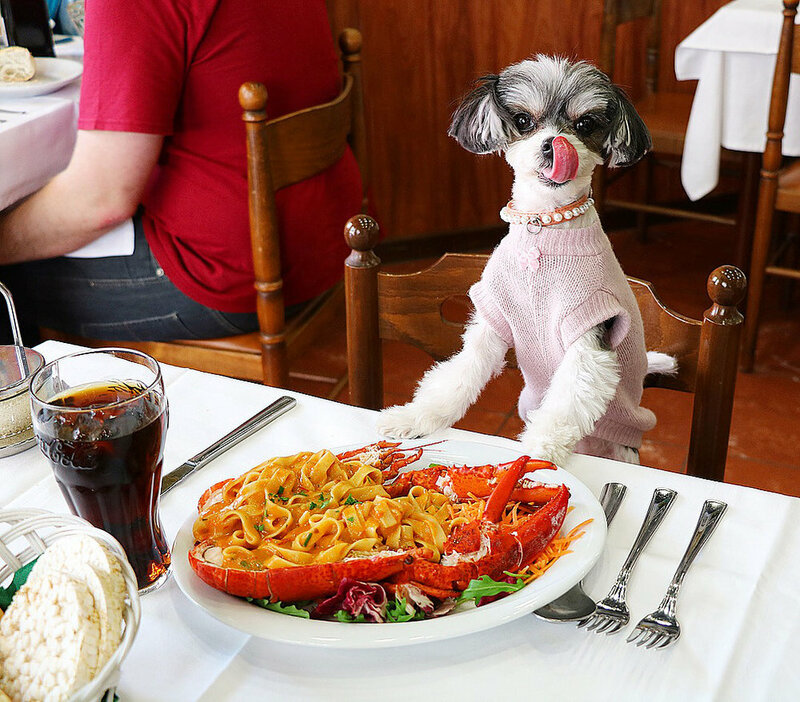 They go above and beyond for their human guests and their furry friends. #TravelingTink truly did #feeltheextraordinary!